VH-ANB. Douglas DC-4-1009. c/n 42948-7. This aircraft was ordered new by Australian National Airways in 1944 - ? Entered onto the Lebanese Aircraft Register as OD-ADK - ? Entered onto the Gabonese Aircraft Register as TR-LPU - ? Entered onto the Congolese Aircraft Register as TN-ACF - ? Entered onto the Zaire Aircraft Register as 9Q-COK - ? VH-ANB. 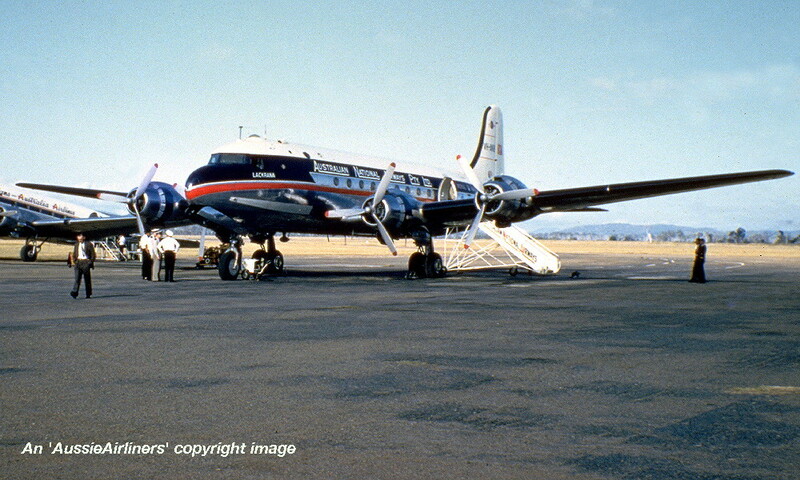 Australian National Airways Pty Ltd - 'Lackrana' in the standard livery at Wagga Wagga Airport, December 1953. VH-ANB. 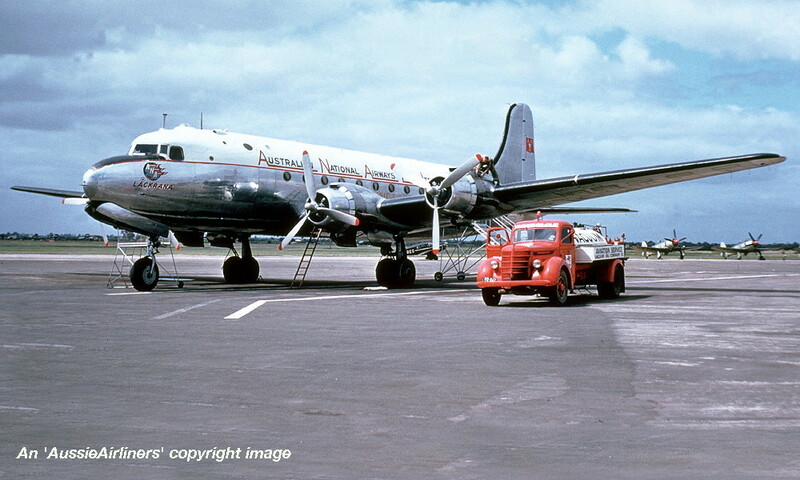 Australian National Airways Pty Ltd - 'Lackrana' in the final livery at Melbourne Essendon Airport, circa 1956. VH-ANB. 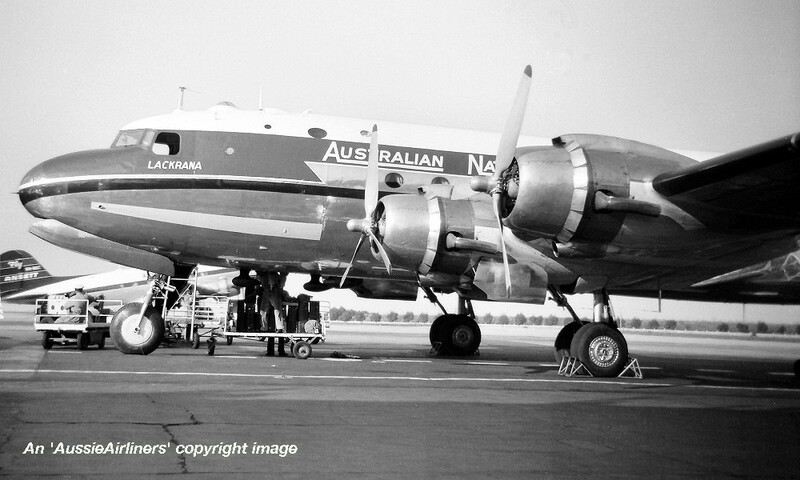 Australian National Airways Pty Ltd - 'Lackrana' in the final livery at Wagga Wagga Airport, December 1953. OD-ADK. 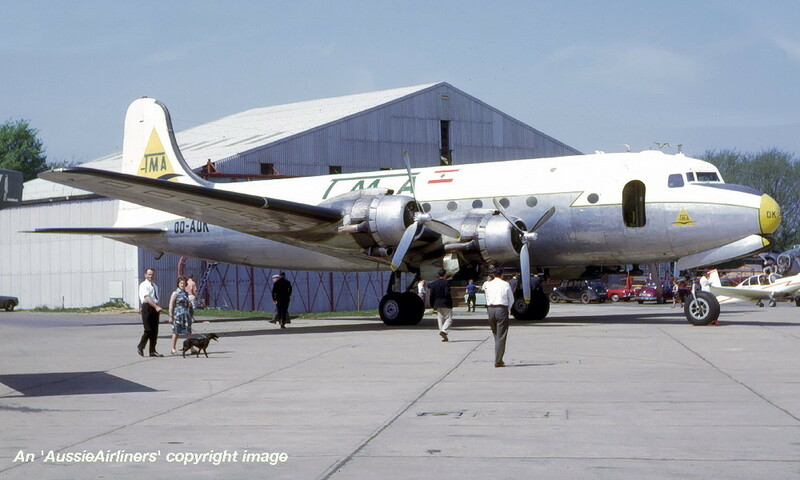 TMA of Lebanon - in the standard livery at Biggin Hill Airport, July 1959. OD-ADK. 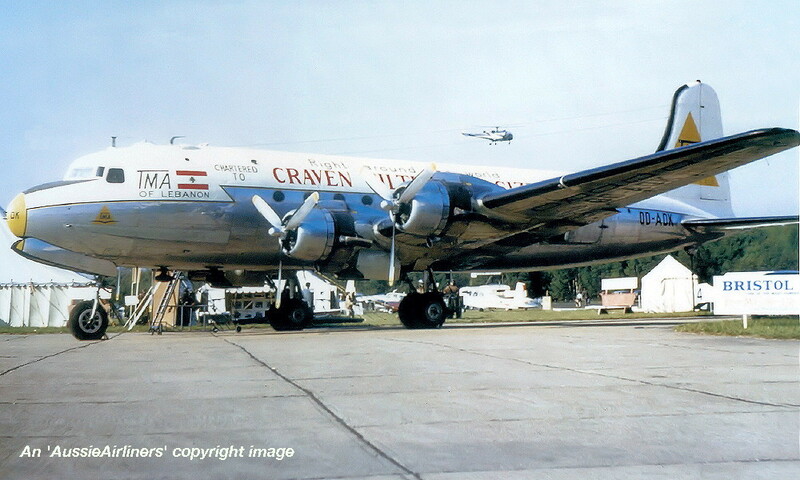 TMA of Lebanon - in the standard livery at Biggin Hill Airport, May 1965.